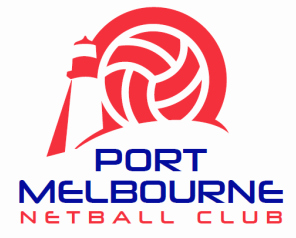 Incorporating in 2014 after a huge surge in junior Netball participants, the Port Melbourne Netball Club was formed by a group of volunteers. Our aim is to provide opportunities for the local community to play netball and advance their skill level in a friendly, inclusive, social environment. Our players are aged five and up, and we run a NetSetGo 2 tiered program, have 19 teams playing at Parkville Netball Competitions in Open, 17/U Premier, Thursday night 15/U and Saturday junior. Our adult social teams play at indoor at APISC including mixed netball, Div 1, 2 & 3 ladies. We aim to create a successful future for our club through innovative leadership, a strong commitment to skill development for all players, provision of a junior development program and development opportunities for our coaches, umpires and officials. We support participation in sport to provide a healthy environment for children and our community. Our focus is on the whole player wellbeing - their social, mental and physical wellness. In 2018 we added Yoga to our wellness program.